Not too long ago we found out we were pregnant, with twins! We are beyond excited and of course, had to add some crochet additions to our pictures. I decided, for the first trimester I would crochet little fruit, to document some of the weeks. According to different pregnancy books and websites, I came up with the approximate length the babies should be at each week and the corresponding fruit. Worsted Weight Yarn #4 – Colors Below. Stitch explanations at the bottom of the page. Photo tutorials on magic ring here. With worsted weight yarn and ‘E’ hook. Created seamless, with no joining. I recommend using a stitch maker and moving it up each round. Round 12: *sc2tog, 1 sc in the next 3 sts*, repeat from * to * around. (16) Stuff with poly-fil. Round 13: *sc2tog, 1 sc in the next 2 sts*, repeat from * to * around. (12) Continue to stuff. Fasten off and add any extra stuffing, if needed. Using a tapestry needle, go through the front loops of the remaining 8 sts, two at a time (first picture below), and pull tight to close and go in through the middle (2nd picture below). Weave in end or lose the end in the stuffing. Round 14: *sc2tog, 1 sc in the next 2 sts*, repeat from * to * around. (18) Stuff with poly-fil. Round 15: *sc2tog, 1 sc in the next st*, repeat from * to * around. (12) Continue to stuff. Fasten off leaving a longer tail to create divot in fruit and add any extra stuffing, if needed. Using a tapestry needle, go through the front loops of the remaining 6 sts, two at a time, and pull tight to close (see picture of lime). Going in the middle of where you just closed and out at the magic ring, then going around the outside of the plum and interesting the needle back into where you closed (picture below), pull tight. Weave in end or lose the end in the stuffing. now working around the other side of your starting chain – sc in the next ch, hdc in the next ch, dc in the next 2 chs, hdc in the next ch, sc in the last ch, join to the first sc with a sl st (2nd picture below is what you leaf should look like at this point). Continue with stem. Stem: Ch 5 (3rd picture below is what you leaf/stem should look like at this point), sl st in the 2nd chain from the hook and in the remaining chains back to the leaf. Fasten off leaving a long tail for sewing to the plum. Using a tapestry needle, sew the leaf to the top of plum. Round 20: *sc2tog, 1 sc in the next 2 sts*, repeat from * to * around. (18) Stuff with poly-fil. Round 21: *sc2tog, 1 sc in the next st*, repeat from * to * around. (12) Continue to stuff. Fasten off and add any extra stuffing, if needed. Using a tapestry needle, go through the front loops of the remaining 6 sts, two at a time (see pictures of lime), and pull tight to close. With your tapestry needle go in through where you just closed the peach and out at the magic ring. Create the divot, by going in through where you closed again (see picture of plum) and pull tight. Weave in end or lose the end in the stuffing. Round 17: *sc2tog, 1 sc in the next st*, repeat from * to * around. (12) Stuff with poly-fil. Round 18: *sc2tog, 1 sc in the next st*, repeat from * to * around. (8) Continue to stuff. Fasten off and add any extra stuffing, if needed. Using a tapestry needle, go through the front loops of the remaining 8 sts, two at a time (see picture of lime), and pull tight to close. Weave in end or lose the end in the stuffing. Chain (Ch): Yarn over and draw the yarn through the loop on the hook. Slip Stitch (sl st): Insert hook in stitch, yarn over and draw yarn through stitch and the loop on your hook, in one motion. Single Crochet (sc): Insert hook in stitch, yarn over and pull up loop, yarn over and draw through both loops on hook. Single Crochet Two Together (sc2tog): Insert hook into stitch, yarn over and pull up a loop, insert hook into next stitch, yarn over and pull up a loop (3 loops on hook), yarn over and pull through all loop on hook. How to make sc2tog invisibly: Insert the hook into the front loop of the first stitch (2 loops on hook). DO NOT YARN OVER. Insert the hook into the front loop of the next stitch. (3 loops on hook). Yarn over and draw through the first two loops on the hook. (2 loops on hook) Yarn over and draw through both loops on the hook. Invisible sc2tog completed! Please do not copy, resell, rewrite or redistribute this pattern or any of the pictures as your own or in any other form. 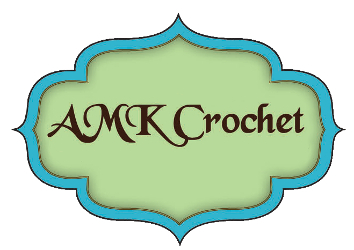 This pattern and all photos from AMK Crochet are copyrighted and cannot be used without written consent. You are responsible for your finished items, please monitor children while playing with items. You may sell finished items made with this pattern, but must include a link back to my store, www.AMKCrochet.com. Feel free to share the link to this post. I hope you enjoy the fruit. Here is one of the photos I have from a few weeks ago, when I was 11 weeks pregnant with my two little limes. If you enjoy the little fruit patterns and want to see more, please let me know! 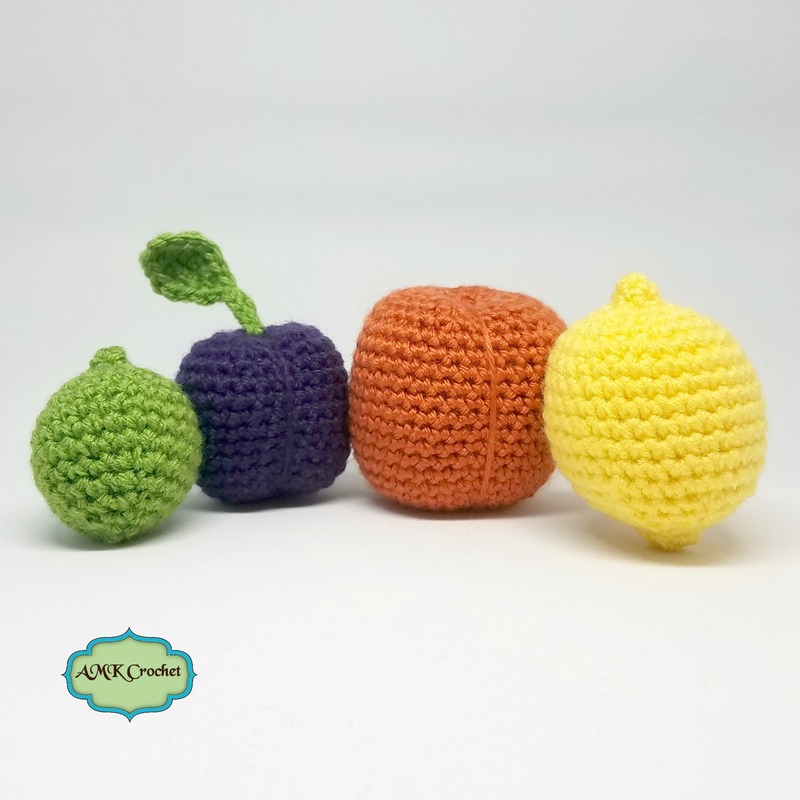 I am trying to decide which fruit I should keep doing or if I should be focusing on all of the other items I want to crochet for my little ones. Up next is my first C2C (corner to corner) baby blanket! If you love these free patterns, please consider donating or using affiliate links, so that AMK Crochet can keep creating. Thank you!